Want a water feature without the water? Even though Australia has had devastating floods in the last couple of years, it wasn’t long ago that most major cities and towns (big and small) were under major water restrictions. In her wonderful poem “My Country”, Dorothea McKellar,summarised the Australian climate in just one line, as a land “…of droughts and flooding rains”. We’ve reproduced the entire poem which you’ll find beneath the images..
Australia isn’t the only country with severe weather challenges. Southern Europe, much of Africa and the Americas are also effected. 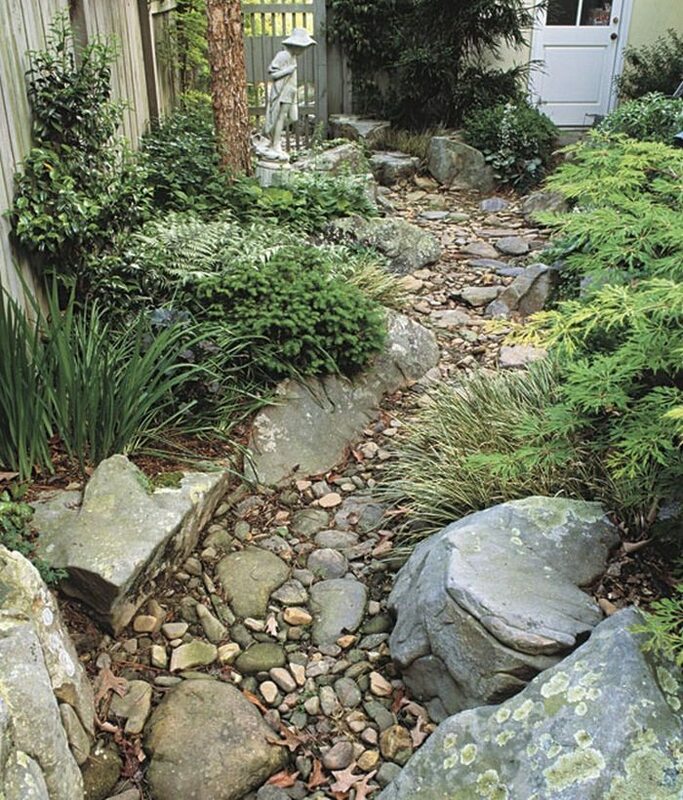 Dry Creek Bed gardens are a great way to add beauty even in a very arid area. 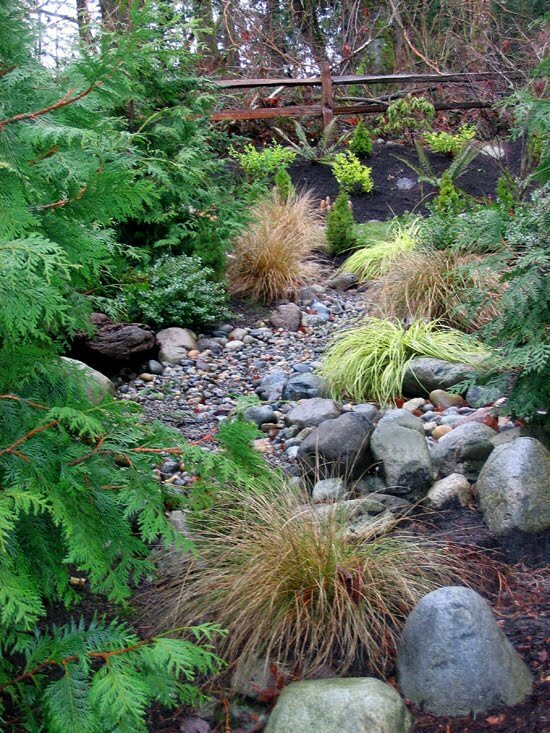 And they can be used just as effectively in areas with good rainfall – you simply need to select appropriate plants.